As the founder of Cathers Home, the premier full- service interior design firm located 19 miles north of Aspen in the heart of the Roaring Fork Valley, Cathers streamlines living spaces and lifestyles for a diverse clientele. Every finished project cultivates the synthesis of rich materials, inviting textures, and simplicity to evoke a calm familiarity. “I gravitate toward warm, clean lines,” he explains. 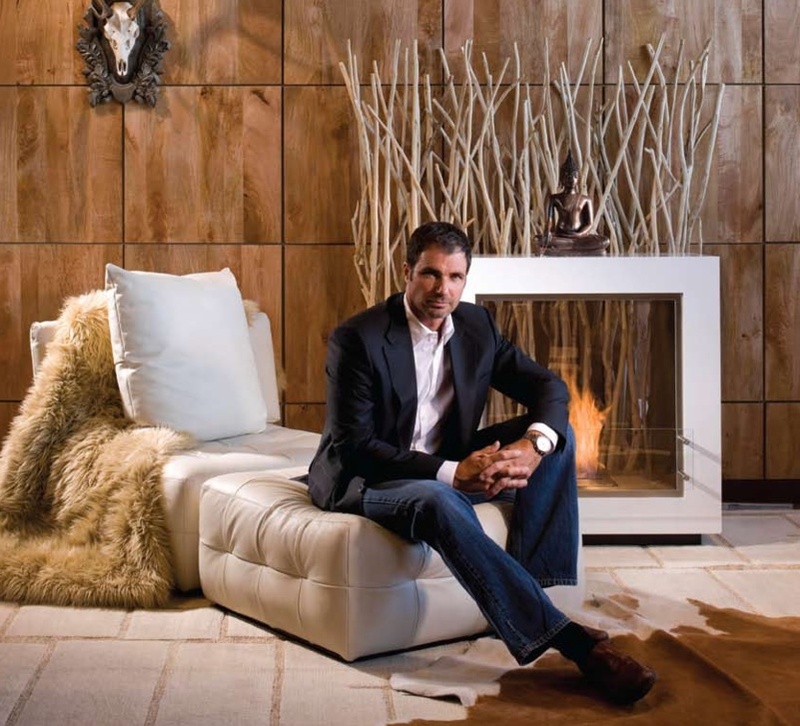 His less- is-more approach is reflected within a portfolio of many successful design endeavors. Success began for Cathers as a young adult. His travels as an international model introduced him to diverse cultures and colorful personalities around the globe. These ventures eventually fostered what has become a thriving business for him today. “My experience in the field of the fashion industry grounds my creativity with a deep passion for design,” he explains. Ultimately, Cathers combined natural design fundamentals with his appreciation for international flare. Constantly inspired by “the elements and surroundings,” he continues his travels abroad searching for handcrafted, distinctive furniture, rugs and accessories to add to his array of product offerings. His cache is imported from such faraway lands as Nepal, India, Pakistan, Indonesia, and beyond. Cathers retains a proficient staff that is knowledgeable, dedicated, and ready to assist in all phases of any design venture. Whether residential, commercial or hospitality, they collectively oversee all project details, following a specific budget, to make the process seamless. Utilizing their vast resources, they are able to procure any wish or need. In most cases, if a component is not already in production, they will have it custom made. It is custom design that sets them apart. All in all, Cathers Home, your premier one-stop interior design center, offers a world of possibilities from timeless mountain elegance to contemporary design. Simply put, choosing Cathers Home means you will get exactly what you expect while naturally setting yourself apart.